It’s time to start thinking about the start of the school year. In my area it’s coming up fast, less than a month away. Now is the time that stores start offering school supplies in earnest and parents respond. Much of it cannot be helped, as schools often provide lists of supplies your children will need for the classroom. Then there are clothes, backpacks and so forth that need to be ready for school. It can be pretty bad from an environmental perspective. So many things to buy. So many choices that really aren’t doing the environment any favors. Take a good look at the start of each school year and see what you have that can be reused or continue to be used. 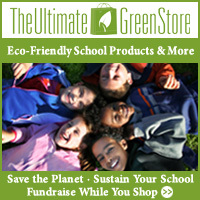 If you buy good quality, there’s a good chance that your kids’ backpacks will last more than one school year. Poorly made ones may struggle. Not to mention that some kids are just plain hard on their stuff. Just really think before buying a backpack if you already have one that will work. I suggest avoiding backpacks with favorite characters if possible. These can be outgrown because your child doesn’t like a particular show anymore or becomes aware that the other kids don’t like that show. It can be embarrassing to own the wrong backpack at times like that. If your child brings lunch to school, take a look at what you have. Make sure your bag is lead and BPA free and in good enough condition. Make sure you have good quality reusable containers. I love my daughter’s Klean Kanteen, and it will last for years. Don’t forget their clothes. Many outfits will be outgrown over the summer, so see what you need to buy to start things off, but remember that the weather will be hot for a while yet in many areas. Take advantage of thrift store shopping and do consider the colder weather for your area if you see appropriate clothes available. You may not need to buy a lot of school supplies. Many schools provide lists of things they will need for the classrooms while others don’t expect you to provide anything. Buy environmentally friendly options when possible. Amazon has a green office supplies section that may be an easy way to handle this shopping. Depending on how far you live from your children’s school, plan on having them walk, bike or take the bus there. Don’t join the masses crowding in to drop the kids off by car if you can help it. If you’re close enough, you can also encourage your fellow parents to have their kids walk to school. Some do a walking school bus where one parent leads a group of kids to pick up the various kids and walk them all to school together. It’s healthy for all concerned and takes care of a lot of the safety concerns many parents have. The easiest way to provide your kids with a healthy lunch at school is to use leftovers from the previous night that don’t need to be reheated. This won’t work every day. If you want to provide warm food, get a Thermos or other insulated food jar for your kids to use. Don’t buy the prepackaged lunches or snack size bags of chips or crackers. You can put appropriate amounts into your reusable containers quite easily. Published by Stephanie, in Eco Friendly Parenting. Tagged with back to school.